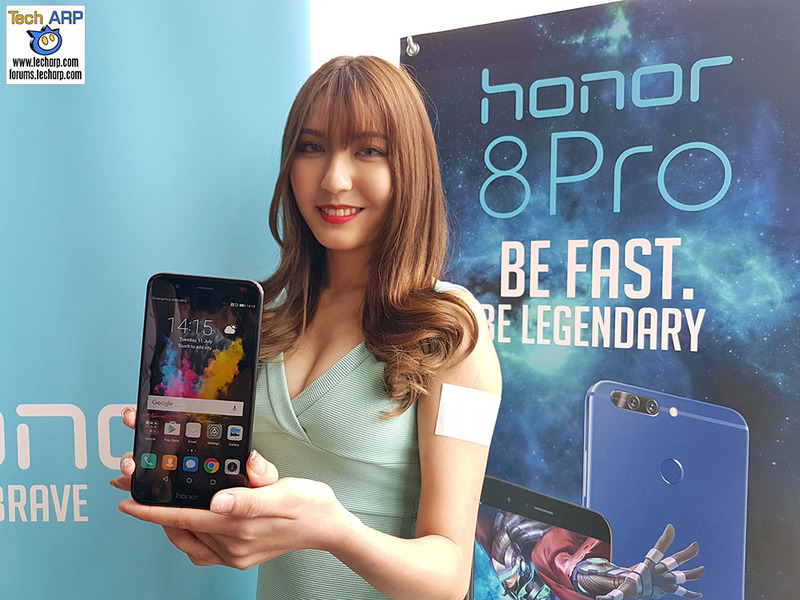 honor Malaysia today introduced the honor 8 Pro premium smartphone. It features a top-of-the-line processor, a long battery life, a 5.7″ Quad HD display and a dual-lens camera – all packed into a chassis that is just under 7 mm thick! The honor 8 Pro is powered by the Kirin 960 SoC, that promises significantly better performance than its predecessor, the Kirin 950. The Kirin 960 has 8 processor cores – 4 x high-performance ARM Cortex-A73 cores clocked at 2.4 GHz and 4 x low-power Cortex-A53 cores clocked at 1.8 GHz – that improve single-core and multi-core performance by 10% and 18% respectively. The ARM Mali-G71 GPU includes support for the cutting-edge Vulkan API, boosting graphics performance by up to 400%. Coupled with advanced power-saving features, the honor 8 Pro’s 4,000 mAh battery provides up to 2 days of regular use, and almost 1.44 days of heavy use. The Smart Power 5.0 technology helps to maximise battery life by automatically identifying and terminating processes with exceptionally high power consumption, as well as minimising power consumed by background applications. The honor 8 Pro boasts an ultra-thin 6.97 mm metal body that is available in navy blue or midnight black colours. Its Quad HD display features a high pixel density of 515 ppi, 16.7 million colours and a 94.5% NTSC color gamut. The honor 8 Pro also comes VR-ready, with a bundled cardboard viewer and pre-installed Jaunt VR app containing a wealth of video content. Users will also be able to dive into the exhilarating world of Galaxy on Fire 3, the first 3D game to run on the Vulkan interface. the camera software then combines the two images together. The camera supports a wide software aperture range (f/0.95–f/16) to delivers DSLR-like depth of field “bokeh” effects for both photo and video shooting. The cameras also support 4K video recording, which are encoded in the efficient H.265 codec, producing files twice as small as its predecessor. 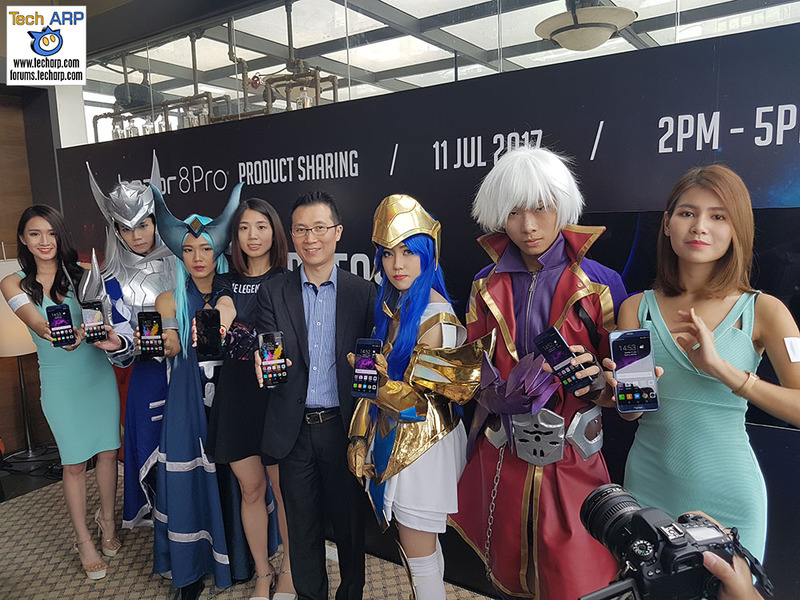 The honor 8 Pro will be made available in the Malaysia market beginning 11 July at a retail price of RM1,999 / ~US$ 475. vMall, the official licensed e-store for honor and HUAWEI will be the first online platform to offer the honor 8 Pro followed by honor experience stores and display zones beginning 12 July 2017.